When listening to some music on Pandora or on my iPhone, I always have to use headphones, so that I don't disturb my coworkers. I've tried many headphones and found that the best ones for me are the ear buds that go in your ear. I find them to be very comfortable that I sometimes forget that I have them on. I also like these for when I travel since they're small and quite easy to carry around. I can just stuff them in my pocket and put them away when not in use. The sound coming from these headphones are clear and are good quality, and this is what you would expect from Bose, one of the premier companies in audio technology. 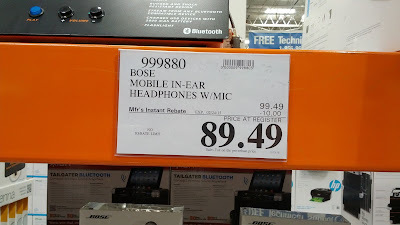 If you prefer bigger headphones, there's also the Bose on-ear headphones also at Costco. 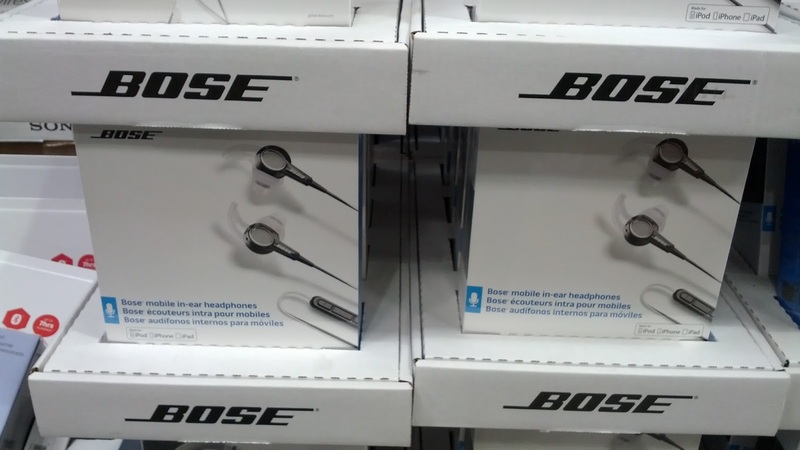 Listen to your favorite tunes with the Bose Mobile in-ear Headphones. Bose Mobile in-ear Headphones come with an integrated microphone. 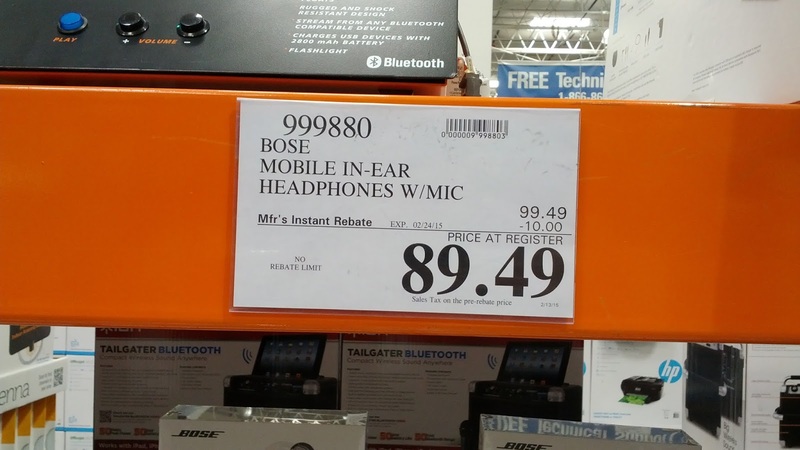 Bose Mobile in-ear audio Headphones with microphone available at Costco with rebate. Turn it up with Bose audio. 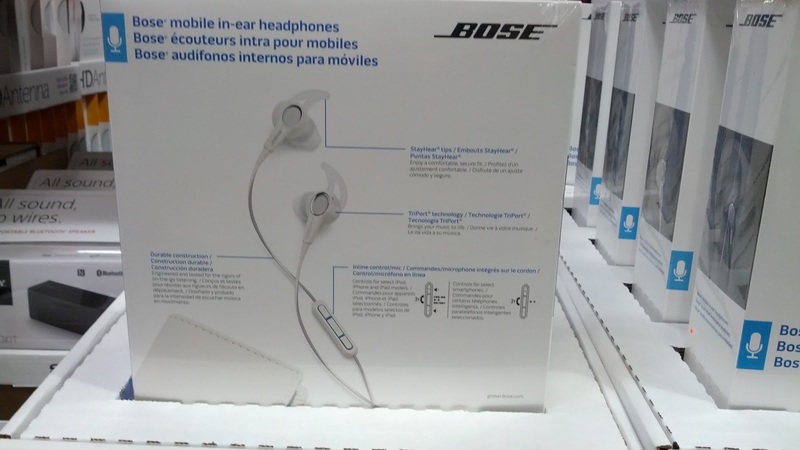 Quality Bose sound and a comfortable fit. Bose headphones put you in touch with your music like nothing else. Durable Construction: Engineered and test for the rigors of on the go listening. StayHear tips: Enjoy a comfortable, secure fit. TriPort technology: Brings your music to life. Inline Control/mic: controls for select iPhone, iPad, and iPod models.